Relax and ease your feet tired from walking around Unzen Jigoku. 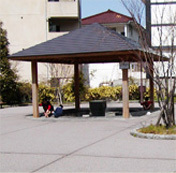 At the Shinyu, nearby Unzen Jigoku, there is a foot bath square with a roof. Because there is a roof, you can relax and enjoy even when it is raining. The tub, with a diameter of about 4m, can fit approximately 10 people, and the smell of sulfur surrounds the area. 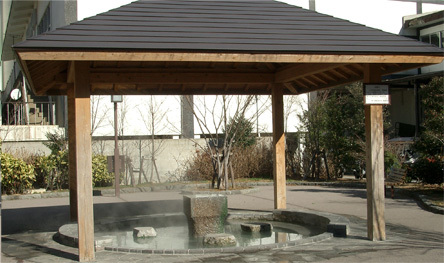 Foot bath with a diameter of 4m nearby Unzen Jigoku. Reputable for easing fatigue just by dipping your feet. Please use after walking around Unzen Jigoku or hiking.